Geoff Kruth, Master Sommelier and President of GuildSomm joins Karissa and Steve Jaxon on this episode of Off the Vine. Geoff discusses the SOMM documentaries, his journey to becomming a Master Sommelier and the mission of the GuildSomm organization. 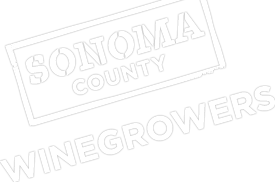 Geoff and Karissa also preview the five-city seminar series to educate leading sommeliers about Sonoma County, it’s terroir, wines, and sustainability efforts.